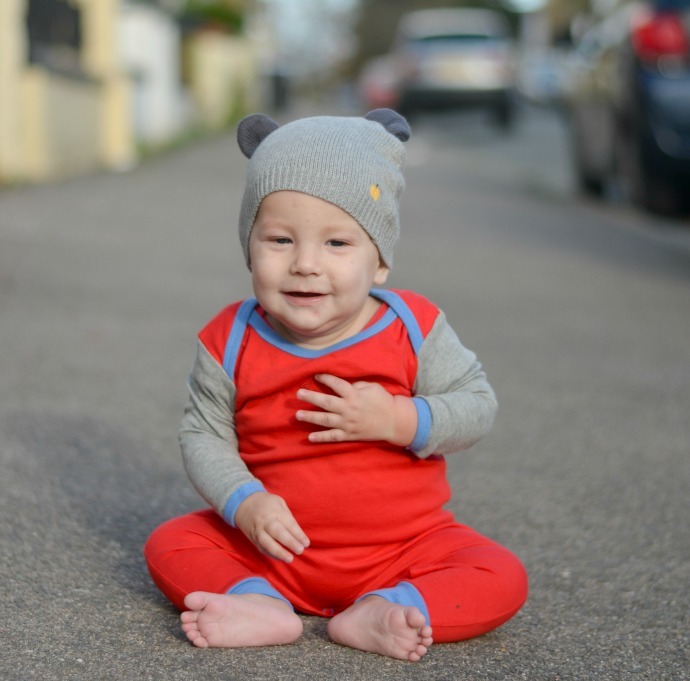 If you are looking for the perfect clothing based gift for a child this Christmas, then look no further than Rockin Baby. 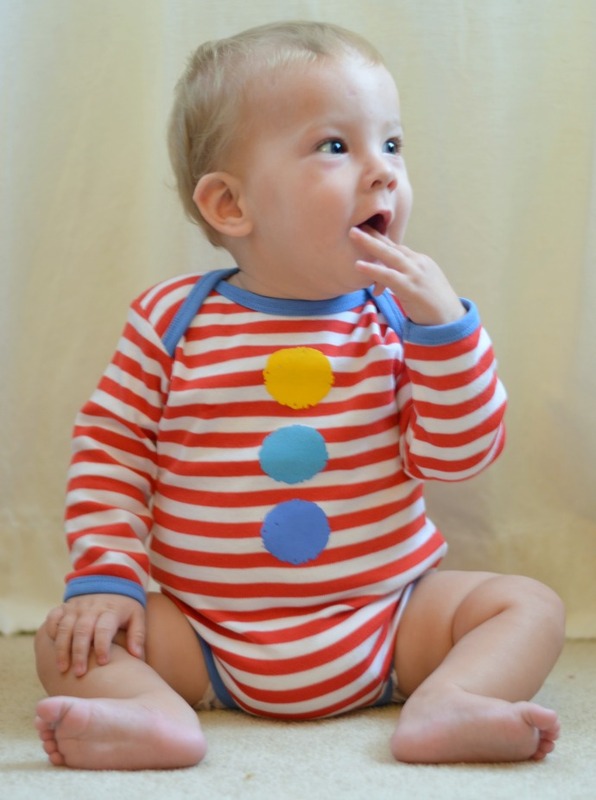 Their colourful baby clothes are full of personality and with four different collections there is something for every taste, whether you like bright and colourful or something more subtle. 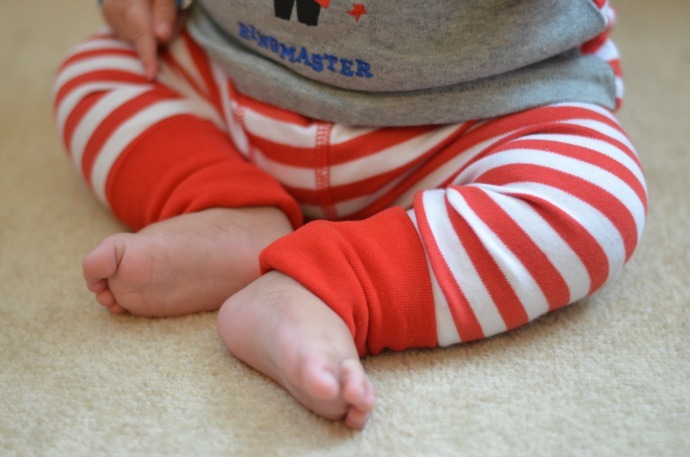 Rockin Baby is a company with a heart so what makes shopping with them even better, is knowing that for every item of clothing you buy, they will donate one to a mother or child who needs it. At the end of each season they will donate the same quantity of clothes as they had sales to children that really need them in West Africa and China. These trousers are a great fit, these are 9-12 on my long legged one, and the cuffs are folded over very far. I love cuffed trousers like this as it means they grow with baby and fit well whatever their size. 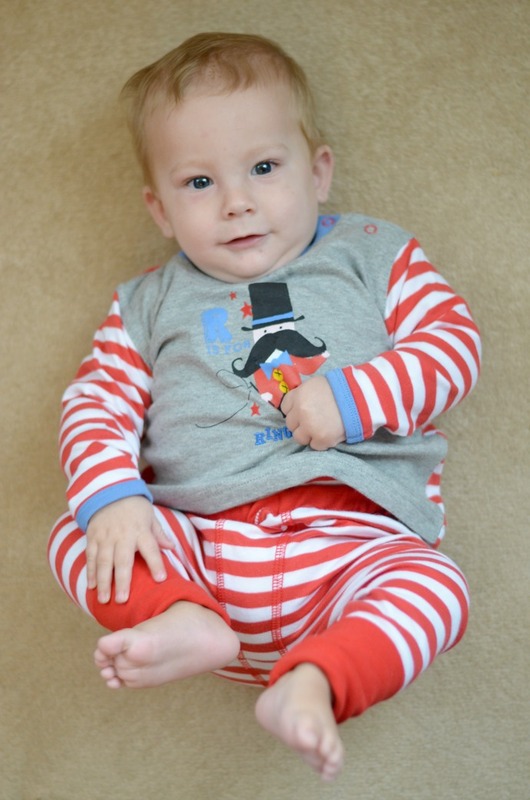 The waistband is soft and stretchy and the red and white stripes are perfect for Christmas outfits too. Finn's top has a stripy back and a Ringmaster picture on the front. I love the outfit together as it is so playful and comfy and soft clothes make it easy to layer up with snowsuits as the weather gets cold. The quality is brilliant and I love the ethics behind Rockin Baby. Their clothes are timeless and I am looking forward to seeing their spring summer collection in the new year, it is definitely somewhere I will shop for Finn again. What ADORABLE outfits! I love the second one especially - those stripes with the pop of colour in the 'buttons' are fab. Finn is looking so much like Archie these days, but also very much like 'himself'. He's beautiful.